Sniper Elite V2 is by far one of the most interesting and entertaining action and adventure games I have ever seen and is truly one of the most imaginative games on the market today. You will once again be charged with taking out various enemies on your missions which I can tell you now is much harder than it seems. 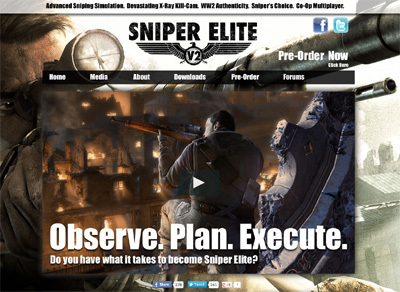 We have also compiled a Review System for this, of which Sniper Elite V2 is Rated as Five Stars, the highest possible score available from the Game Review Team.